Sketch pad and colored pencilsThis gift set is great for all ages. The journal and matching pen are perfect for school, Bible studies or just capturing your thoughts. 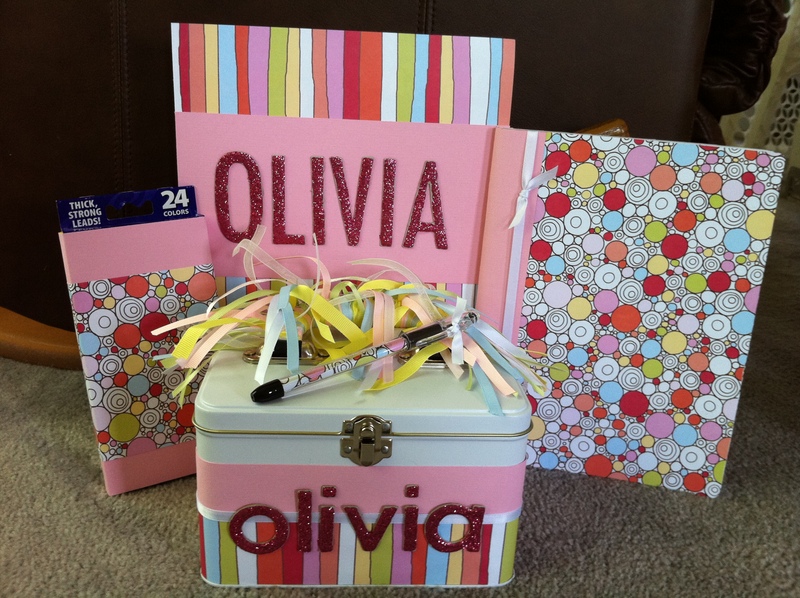 The tin can be used to store treasures, make up, hair bows and more. The sketch pad and pencils are perfect for a long car ride or just doodling. All items will be custom made for the winning bidder – colors, patterns and names.